The stage is set, the champions have arrived, now just wait for the moment when the real action will begin. Champions will fight against the champions to become Champion of the champions. Entertainment is guaranteed. This is the second edition of the Champions League T20. 10 teams from 6 countries are participating this time. 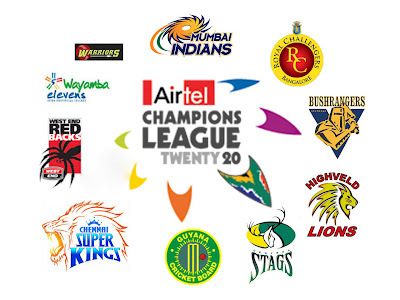 Teams are divided into two groups - Chennai Superkings (India), Warriors (South Africa), Victorian Bushrangers (Australia), Wayamba Elevens (Sri Lanka) and Central Stags (New Zealand) are in the Group ‘A’ and Mumbai Indians (India), Highveld Lions (South Africa), South Australian Redbacks (Australia), Royal Challengers Bangalore (India) and Guyana (West Indies) are in the Group ‘B’. Each team will play 1 match against each other in their group and the best two teams from both the groups will qualify for the semifinals. The tournament will be played from September 10 to September 26. 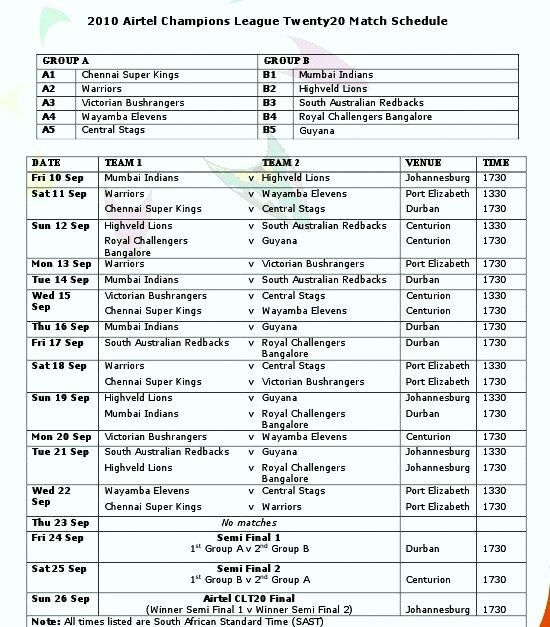 South African team Warriors are looking top contenders to win the tournament but other teams like Victorian Bushrangers, Mumbai Indians and Chennai Superkings are strong sides too. Chennai Superkings are the best side among IPL teams but Mumbai Indians have lots of experience and they can beat any team anywhere. Royal Challengers Bangalore have a upper-hand because of some South African players. They have played too much cricket here, so they know the conditions well. Darwin’s rule of adaptability applies here too. Adaption will be the key. In this version of cricket, past performance doesn't matter, what you are going do in those 3 hours, only that matters. For example, both the finalists (New South Wales and Trinidad & Tobacco) of the last edition failed to qualify this time. 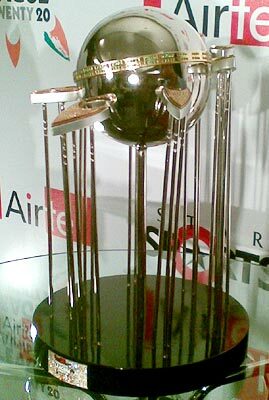 New South Wales won the first edition of this tournament which was held in India last year. This time South Africa are hosting it. South Africa have an excellent history of organizing big sporting events. Hope this tournament will be organized brilliantly too.